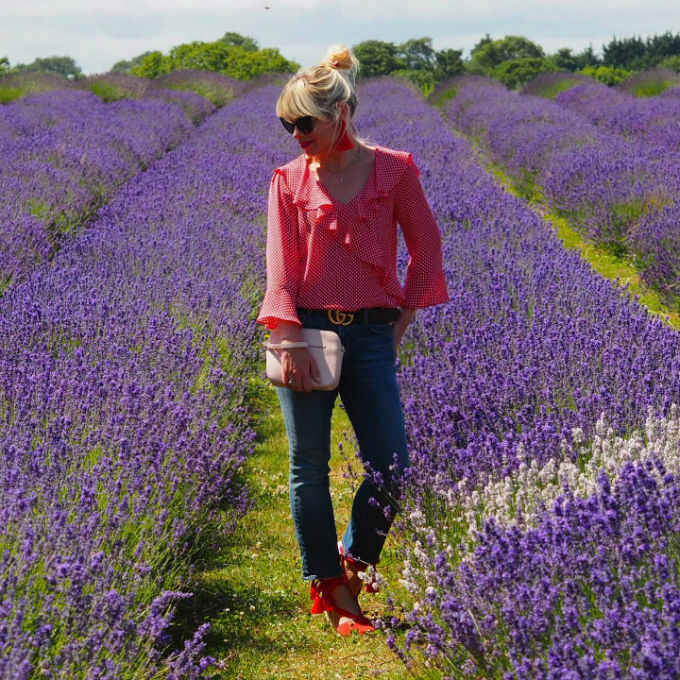 Style Theory: Every year I manage to miss this lavender field in full bloom, it is called Mayfield Lavender and is 5 minutes from my house. I drive past it most days but never manage to visit until the last minute in August when the lavender turns brown! This year I made it and it is beautiful, the colour is stunning, so rich and vibrant. Colour really makes me happy, it feeds the eyes, it's good for the soul and when wearing it it gives you a glow. 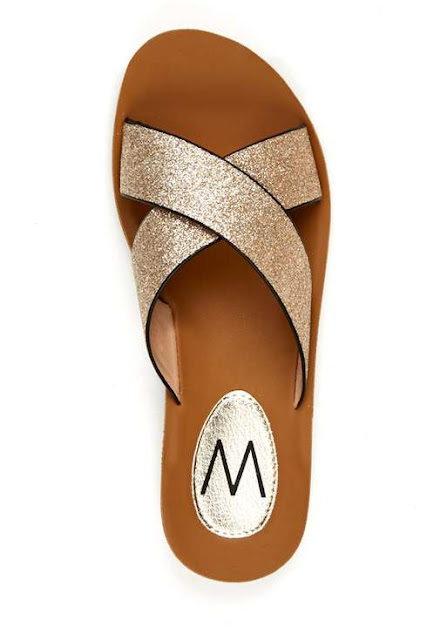 Another surprise Wallis hit was my gold sliders I bought last year and wore every hot day last year and am wearing them non stop this year again..honestly they are so comfortable and the easiest things to slip on, look great with jeans, shorts and dresses.. Think I need to add the red to my shopping bag!! So purple and red my new favourite colour combination! 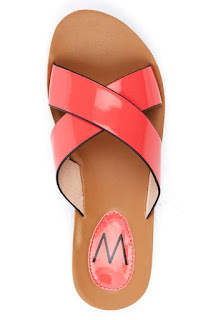 Are you a fan of red, have you found it creeping into your wardrobe this season? 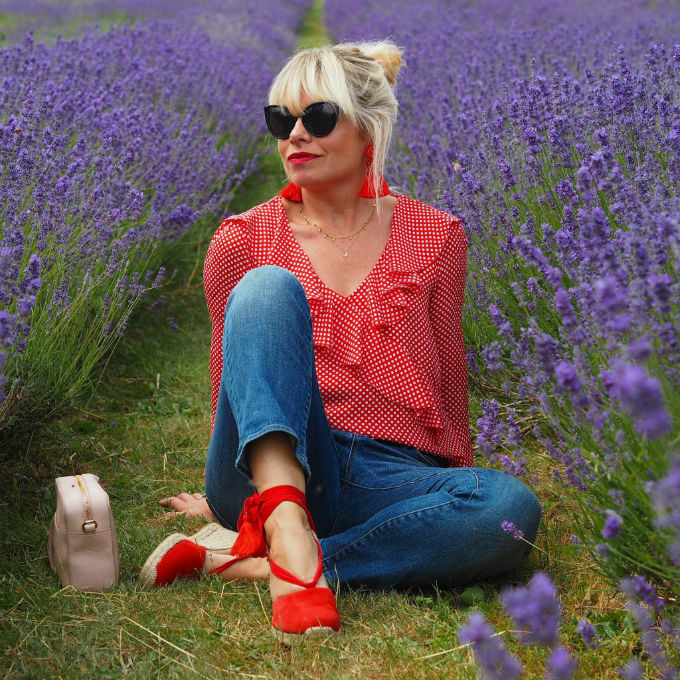 Oh and just in case you do fancy visiting the lavender fields, there are lots of wasps and bees but they really do tend to mind their own business!! 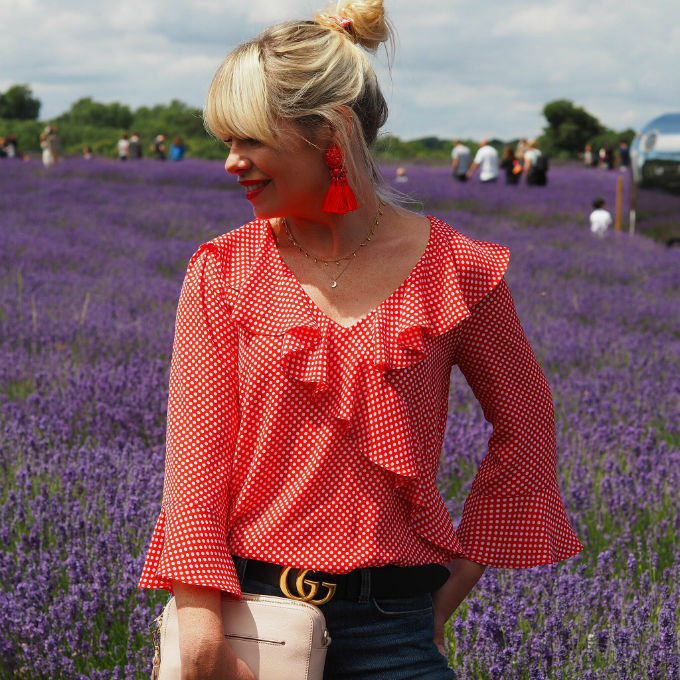 *This post was written in collaboration with Wallis, all styling and opinions are my own and I do flippin love this top and have worn it loads!! Love that top! Love the lavender too - I was there yesterday, eating lavender scones under the big tree. Sooo beautiful.